The speed at which a PR crisis can now strike and escalate has seldom been better illustrated than the #schooldinnerbloggate debacle ignited by Argyll and Bute council after it banned a nine-year old girl from blogging about school lunches. 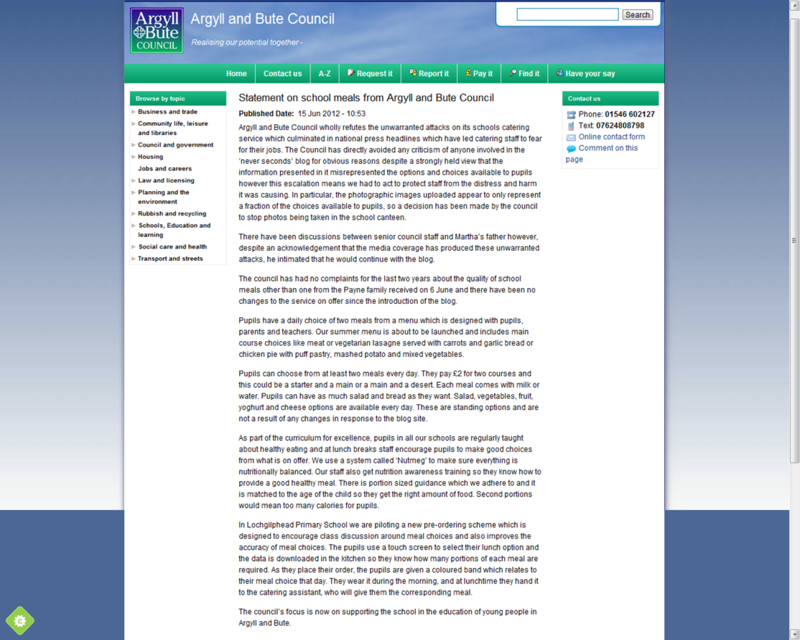 At 10.53 this morning Argyll and Bute Council (strapline – ‘Raising our Potential Together’) posted a statement which began “Argyll and Bute Council wholly refutes the unwarranted attacks on its schools catering service which culminated in national press headlines which have led catering staff to fear for their jobs. The Council has directly avoided any criticism of anyone involved in the ‘never seconds’ blog …despite a strongly held view that the information presented in it misrepresented the options and choices available to pupils…so a decision has been made by the council to stop photos being taken in the school canteen.” I’ve screen grabbed the full statement. By lunchtime today ‘Argyll and Bute’, ‘neverseconds’, and ‘Martha Payne’ were all trending on Twitter. The leader of the council appeared on BBC Radio 4’s World at One programme and reversed the decision. Whilst the initial action and statement was a PR disaster you have to admire the speed of the resolution. 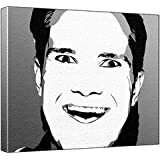 Perhaps the happiest outcome of all is the extra £15,000 in donations added to the appeal for a kitchen for Mary’s Meals a charity that provides lunches for schoolchildren in Africa. Update: As of 5pm donations to Martha’s appeal have passed the £35,000 mark.